Our range of products include pipe fitting forgings. 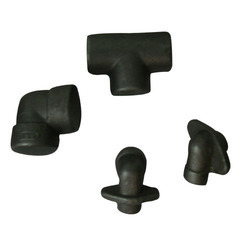 We are offering Pipe Fitting Forgings that are seamless pipe fittings available in different sizes and can be customized as per the needs of the customers. These are fabricated using supreme class raw material and latest technology under the supervision of our skilled team of professionals. Our offered range is available in different lengths in order to meet the varied needs of the clients.